What's Better Than Raindrops on Roses and Whiskers on Kittens? 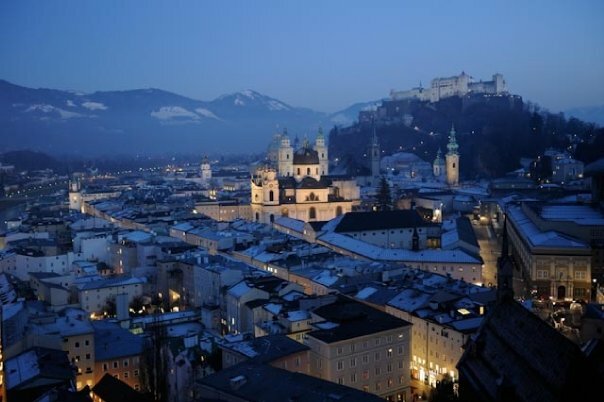 Photo taken from MDM (Museum der Moderne) Salzburg. 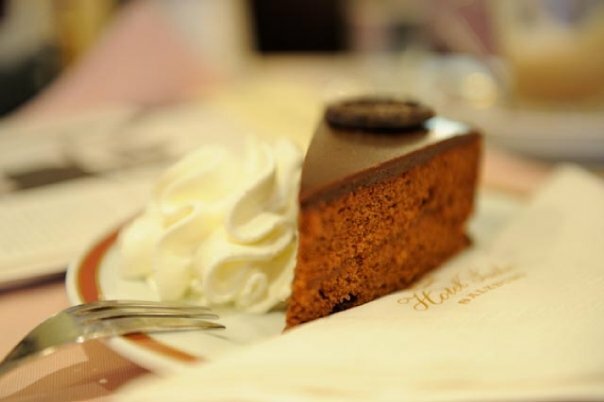 .....and the other is that very famous culinary specialty and pride of the nation: Sacher Torte. I've sampled it in this city and Vienna, both times at Hotel Sacher. This "Original Sacher Torte" is available exclusively at these two hotels (including their online shop,) at the Cafes Sacher in Innsbruck and Graz, the Sacher Shop in Bozen, and in the Duty Free area of the Vienna airport. It's totally worth taking home as a tasty souvenir, along with all those Swarovski crystal, Klimt prints and snow globes....assuming, of course, you can make it all the way home without devouring this chocolate yummers in transit.